"Aber" means mouth of a river and the breathtakingly beautiful River Dee runs through the city – hence the name, Aberdeen. Aberdeen is Scotland's third largest city and is fondly known as The Granite City due to the local pale stone which adorns so many of its outstanding buildings. It is also nicknamed the oil capital of Europe, the Dallas of Britain and the silver city with the golden sands. Limo hire in Aberdeen is equally outstanding with a range of services to choose from such as pink hummers for the ladies, white hummer limos or silver hummer limos for the lads and even a fire engine for the kids. Contact Limotek today for all types of limousine hire in Aberdeen. There is so much to do in Aberdeen City and in the North East of Scotland: from the cultural, theatrical and musical events at His Majesty's Theatre to the many places for children such as Storybook Glen and the living interactive child museum the Stratosphere. But why use a taxi to get to these places in Aberdeen when you can use limo rental? There are fantastic services and limousines for hire in Aberdeen especially for the kids such as a cool selection of Hummers including pink, silver, white Hummer limos even a red fire engine. The fire engine limousine will turn up with lights flashing and sirens wailing and is guaranteed to make your child smile on their birthday. Contact us today to find out more about Fire Engine limousines and all other types of limos in Aberdeen. We have searched far and wide across Aberdeen to find the best limo operators. Limotek.co.uk has access to the best operators and limousines Aberdeen has to offer. Our operators will always go the extra mile, offering a quality limo service that is guaranteed to make your limo experience the best. The vehicles provided by our operators in Aberdeen include white, pink and silver Hummer limousines, Fire Engines and a large selection of stretched Lincoln limousines (including white, black and pink stretch Lincolns). Soon to arrive in Aberdeen, the Porsche Cayenne limousine, Range Rover limo, Chrysler 300 and BMW X5. Contact Limotek today and find more about these exciting new additions to Aberdeen's limousine fleet. Aberdeen limos can be used for a number of reasons. You made need a white Stretch Lincoln as your wedding car in Aberdeen, a white or silver hummer limo for your stag night in Aberdeen or even the Pink Hummer limousine (nicknamed the Chick Truck) for an Aberdeen hen night. Fire Engine limousines are always cool on your birthday in Aberdeen and a black stretch limo is a must for a Corporate event. Whatever the occasion or event, Limotek.co.uk has cheap limo hire in Aberdeen covered. A school prom is one of the most popular uses of limo hire and there is a massive selection of vehicles available for hire in Aberdeen from Huge Hummer limos to white stretch Lincolns and pink limousines. Ensure you get the vehicle you want and book your school prom limo early. Contact Limotek.co.uk now for fantastic school prom limousine deals in Aberdeen. Aberdeen has a wonderful nightlife scene, with some fantastic clubs and bars and a limousine in Aberdeen can be used to make a great entrance. Liquid is the primary nightclub in Aberdeen without question! With two packed floors with music varying from funky dance beats to the downright cheesy this is definitely the place to finish your night in Aberdeen. Tiger Tiger is your one stop destination, with 5 bars, 1 restaurant, 1 club all ready to entertain you until the early hours of the morning. Famous for its stylish cocktails, fabulous wine lists, premium draught and bottled beers you can enjoy a great drink in a very stylish location. Snafu is nestled at the castle gate end of Aberdeen historic Union Street. This fantastic little nightspot is the premiere destination in Aberdeen for vast array of DJ's and other big artists on the alternative music scene. At Snafu, Aberdeen you can enjoy a great variety of drinks and really enjoy your night. The Tunnels is the new place to go in Aberdeen for great live music. All these fantastic venues in Aberdeen need an equally fantastic entrance. What better way to arrive and impress everyone at Liquid than with a hummer with Aberdeen limo hire. If you're arranging a hen night in Aberdeen, the amazing chick truck pink Hummer limousine is a solid choice. There is also a cool white Hummer limousine suitable for stag parties. Whatever the event, Limotek.co.uk has limo rental in Aberdeen covered. Aberdeen is at its most popular at the weekend, so we advise booking your limousine early to ensure you get the limousine you want for your night out in the city centre. 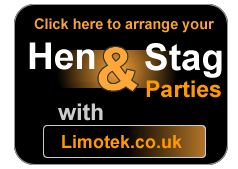 Contact us today to book your hen or stag limo or for fantastic limo deals in Aberdeen. 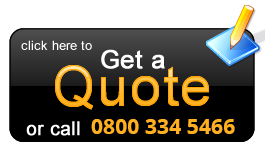 View our other pages at Limo Hire Lancashire , Limo Hire Leicestershire , Limo Hire Maidenhead , Limo Hire Northampton , Limo Hire Nottingham, Limo Hire Oxford, Limo Hire Scotland.